On the 18 January 2019, SITEC organised a talk on e-commerce development in Malaysia, as a precursor to the Alibaba- Taobao University e-commerce course preview. Led by Goh Boon Peng, Director of SITEC Academy, he briefly brought attendees through the history of e-commerce in the world, and then touched on the growth of e-commerce in Malaysia, from the launch of Poslaju in 1998, to the establishment of the DFTZ in 2017. 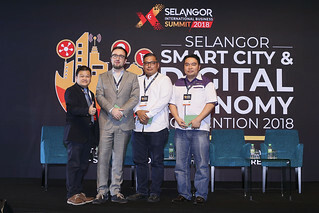 The Malaysian e-Commerce landscape currently comprises four segments: Digital Marketing, E-Commerce Platforms, Payments and Finance, and Logistics & Fulfillment. He also shared tips for e-merchants, emphasising that digitization is a must for merchants, and how technology can greatly reduce human dependency in a company’s e-commerce operation chain. He also mentioned that now, merchants should really go online to sell, and to have their selling optimised for mobile as most users are reliant on their phones or other mobile devices. He also motivated e-merchants to have a ‘dare to try’ attitude, and to always keep learning to be better in their field. Salman Ahmad, who coordinates e-commerce classes in SITEC, shared about the history of Taobao University, highlighting their strong track record in educating and training competent e-merchants in China and beyond. 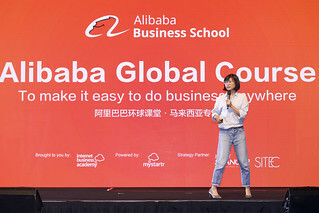 According to Salman, the training arm of Alibaba, Taobao University, has conducted over 1,000 courses since 2012, providing resources, theoretical knowledge, practical training and online and offline teaching. Taobao University provides training customised to the country or region’s e-commerce markets, and is supported by their Course R&D centre. They also have an online learning platform, and lecturers are audited and guided through their lecturer management centre. Taobao University cooperates with senior sellers, third-party experts and E-commerce platform managers to jointly select the best lecturers who bring with them practical operation experience and theoretical knowledge. The university carries out a rigorous selection process for lecturers as well, aside from carrying out systematic training, regular appraisals and student feedback in order to provide a professional and expert experience for students. We’ve got some good news for those who are somewhat new to e-commerce, or who are thinking of going into e-commerce. From 5 – 7 March 2019, SITEC will be bringing a 3-day course that aims to allow students to learn and have a hands-on experience in e-commerce know how. 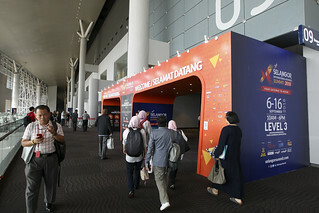 Called ‘Transform your business digitally’, the course, held in i-City, Shah Alam, and run by Alibaba-Taobao University and Mystartr, will touch on topics such as e-Commerce operations, content marketing and shop activities. The e-commerce operations part will allow students to find out how to make market predictions through objective and data analysis, and develop product planning guidelines, maximising operation values. The content marketing segment will teach students how to analyse content marketing, its various strategies, and analyse future operational trends in content marketing. Lastly, students will learn how to determine the pace and content of activities through the ‘7 steps for activity planning’, monitoring their own shop events, and understand methods of assessing activity efforts. Save RM 1800 when you sign up for the course before 25 January 2019!